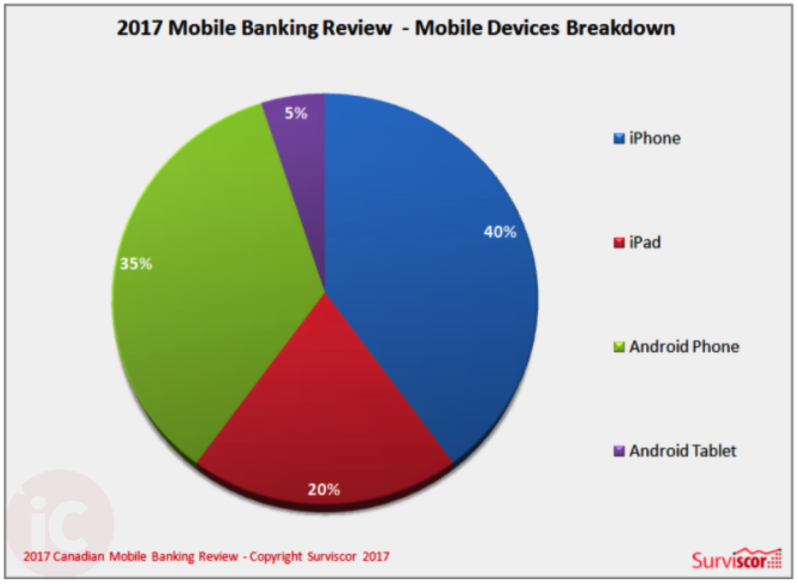 CIBC has taken the crown in Canada when it comes to mobile banking, according to research firm Surviscor’s 2017 Mobile Banking scorCard Review. 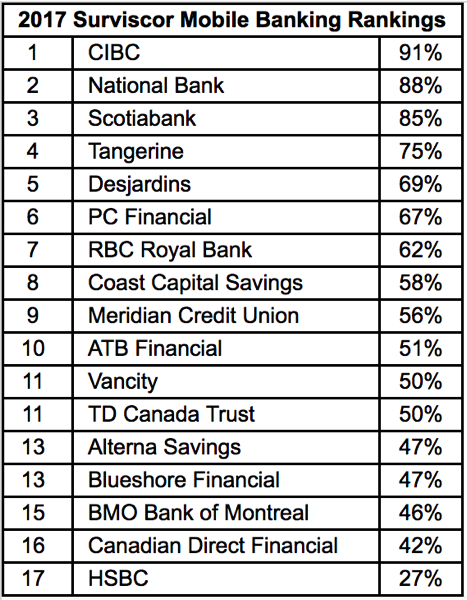 Tangerine held last year’s top spot, but was dethroned by CIBC and dropped to fourth. Scotiabank remains in third for the fourth straight year, while National Bank—a previous winner—moved into second place. 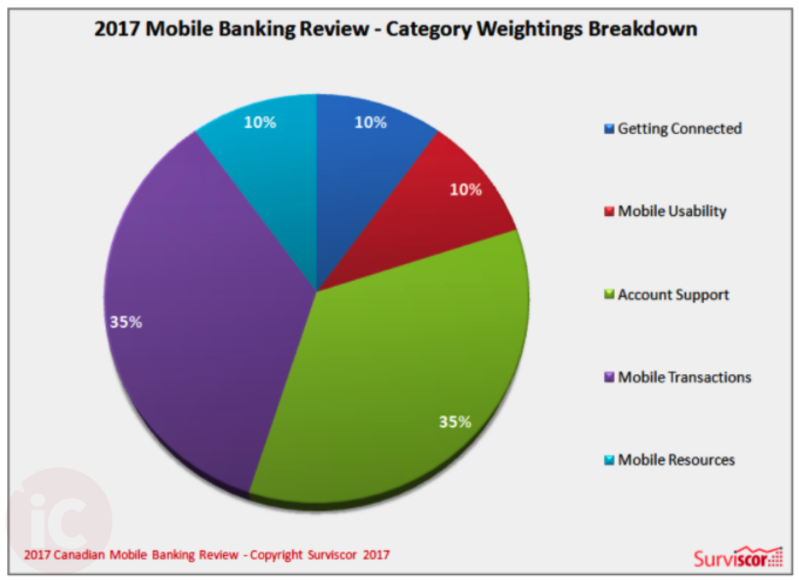 Surviscor tells us iOS devices took 60% of the breakdown of mobile devices in their device weightings. CIBC gained the top spot again for the first time since 2011, while Tangerine fell to fourth after its first place finish in 2015. The best new entrant was Desjardins, while BMO, Vancity and TD Canada Trust fell the most due to new entrants. 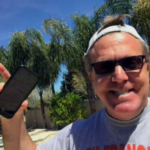 The best credit union was Coast Capital Savings. What bank do you think offers the best mobile experience?